A lot can happen in 10 seconds. We want to see your most epic 10-second outdoors adventure video. And for your time, we’ve got $1,000 in top-end gear up for grabs. 2. “Like” V.I.O. on Facebook. Our “Blink of an Eye” Video Contest sponsored by V.I.O. starts today and runs through Sunday, November 25. So, break out your preferred device (helmet cam, phone, dSLR, etc.) and record the most captivating 10 seconds of adventure you can! Prize package: Up for grabs is a V.I.O. 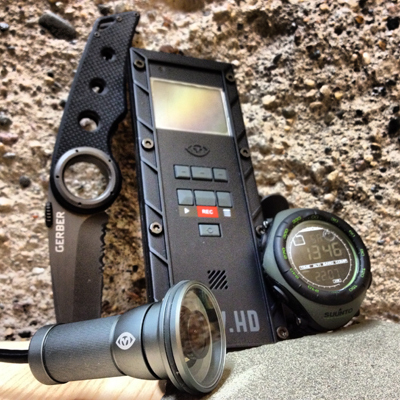 POV camera unit, a Suunto Vector HR altimeter watch, and a Gerber Remix Tactical knife. The best videos will blend intensity with creativity and nice camera work. Be bold, but don’t try anything too stupid. No one is above the law and broken bones still hurt. Patrick is a writer based in Boston with a penchant for life on two wheels and sleeping outside. previous:Gift Guide: Holiday-Theme Outdoors Gear!